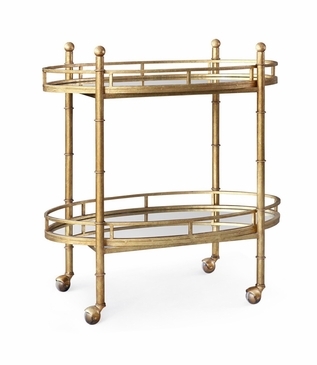 Set atop casters, this entertaining essential features an oval-shaped frame finished in antiqued gold. 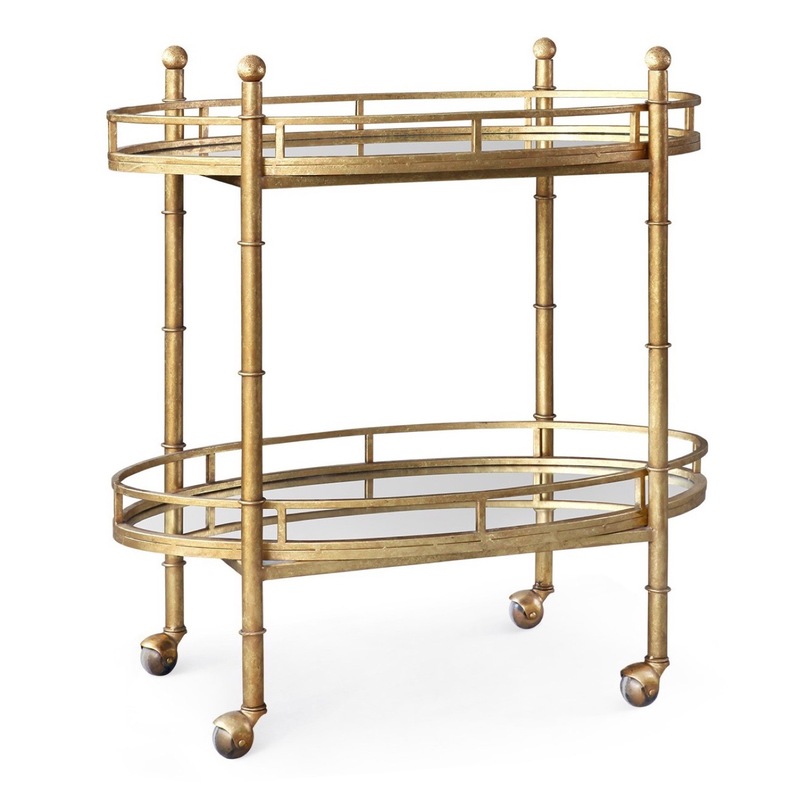 The mirrored shelves are beautifully accented by the bamboo-inspired metalwork posts and surrounding gallery rails. 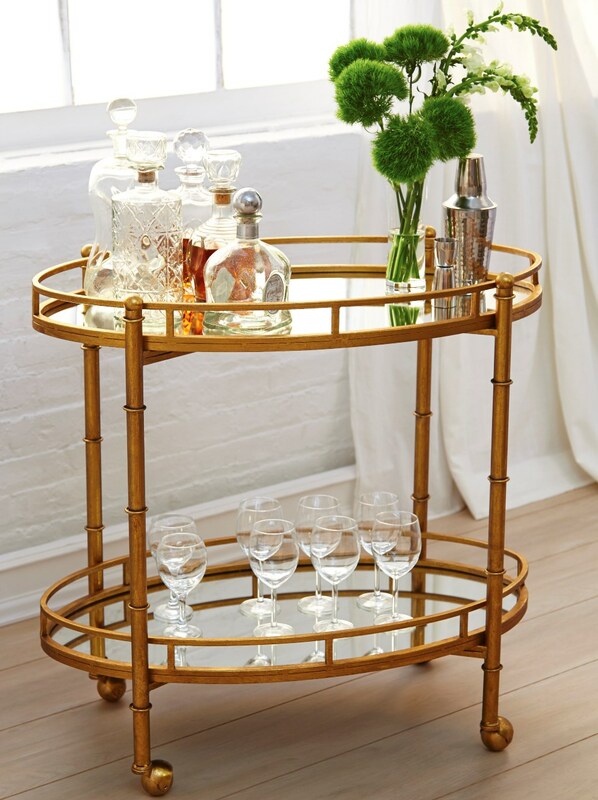 Due to the handcrafted nature of the metal frame and leafing process, slight imperfections should be considered part of the piece's inherent character. Size: H: 34" • W: 32" • D: 18"